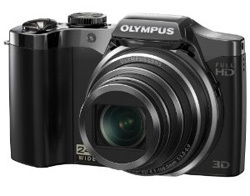 Photography Blog has reviewed a cheap travelzoom camera from Olympus called Olympus VR-310. 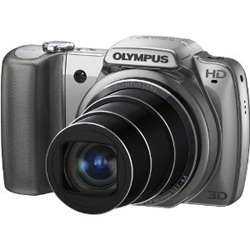 This Olympus camera has 14 megapixels and a useful 10x optical zoom lens starting at 24mm. Photography Blog ends up giving the VR-310 a pretty poor review with an “Average” rating and an overall score of 3 out of 5 possible stars. The digital camera scores highest on value for your money, while it scores a bit lower on image quality, features, design and ease of use. The price on this camera from Olympus is pretty low, but that does not help when the image quality is poor. It might be worth putting some extra money into getting a better camera. Read the full review of the Olympus VR-310 budget travelzoom camera here. Photography Blog has tested a new high grade lens from Olympus that they have made for the Micro Four Thirds system. 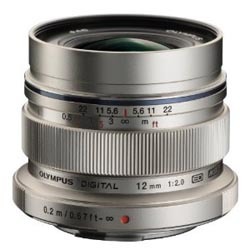 The lens, called Olympus M.ZUIKO Digital ED 12mm f/2, and has a full metal body, built-in depth of field and distance indicators, in addition to enhanced multi-layer lens coating and very light weight. Photography Blog ends up giving the Olympus lens a “Recommended” rating with an overall score of 4 out of 5 possible stars. The 12mm lens scores highest on image quality, features and design, a little lower on ease of use, while it scores lowest on value for your money. Olympus has created a great little lens that is able to photography excellent pictures, but the price tag might be a bit high for many photographers. Read the full review of the Olympus M.ZUIKO Digital ED 12mm f/2 lens here. Photography Blog has reviewed a cheap travelzoom camera from Olympus. 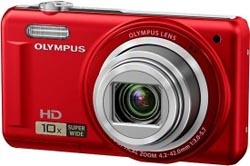 The camera, called Olympus SZ-10, comes with 18x optical zoom and 14 megapixels, in addition to HD movie capability. Photography Blog ends up giving the SZ-10 a “Recommended” rating with an overall score of 4 out 5 possible stars. The Olympus camera scores highest on value for your money, a little lower features and ease of use, while it scores lowest design and image quality. Overall this is a good travelzoom camera for new photographers looking for a cheap camera, but if your are looking for manual controls and a bit more from your camera you might look somewhere else. Read the full review of the Olympus SZ-10 budget travelzoom camera here.